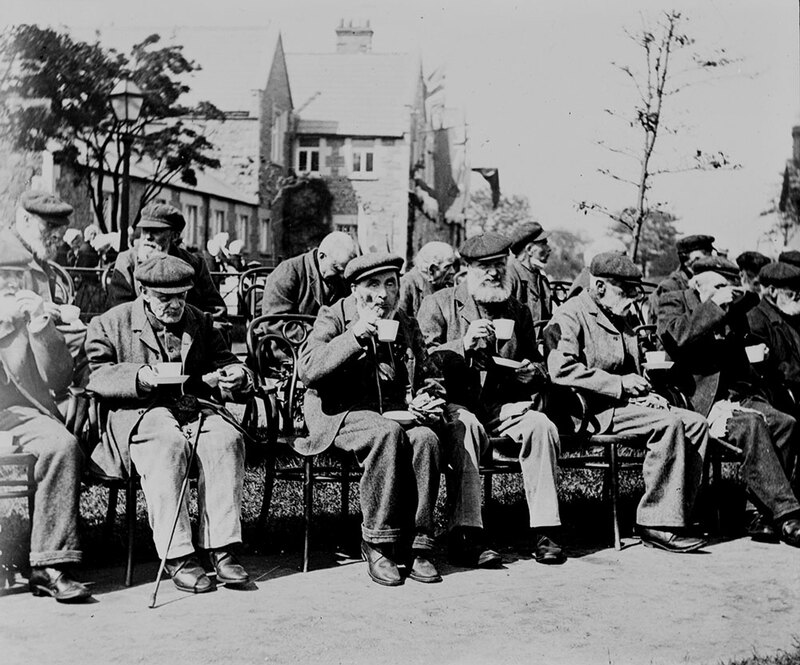 The Old Age Pensions Act of 1908 provided a weekly means-tested pension of up to five shillings to those aged over 70 whose incomes were very low. Previously, help was only made available to the elderly poor if they went into a workhouse. The conditions in workhouses were deliberately harsh and degrading to discourage the poor from seeking help. The Old Age Pensions Act is seen as one of the foundation stones in the creation of the welfare state because it was a major step towards the government taking responsibility to help the plight of the poor and destitute. 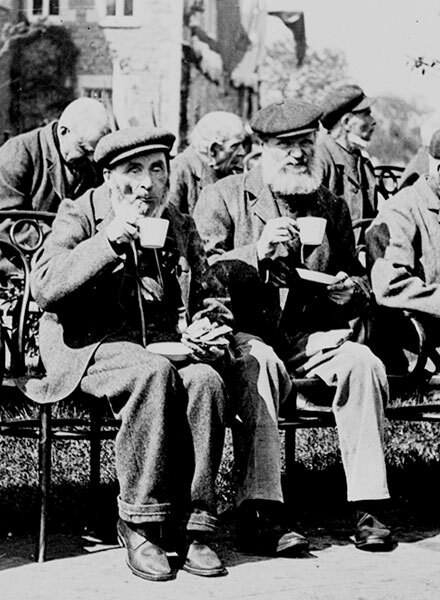 Male residents of Belfast Union workhouse celebrating the royal visit of 1903 with a cup of tea.